Remember that famous (or infamous, depending on your political leanings) Shepherd Fairey Obama hope poster? For some reason, I got the itch to find out how to duplicate that look on my own. Sure, there are websites where you can upload a photo and have your face Obama-hope-posterized — “hopesterized” — but where’s the fun in that? Fairey created his original using screen printing techniques, but with this handy tutorial as a starting point, Photoshop and Illustrator save you the stencil and acrylic work. A sad portrait of a friend who was attacked in the face by poison ivy served as my guinea pig for my first “hopesterize” attempt. My technique’s not yet worthy for a spot in the Smithsonian next to Fairey’s original. But, it’s still a pretty convincing warning about the dangers of poisonous foliage. This entry was posted in culture, hope, media, projects, shenanigans. Tagged hope, Obama, poster, shenanigans, tools & tips, tutorial. Next Post Next post: Custom domain trapped in the Google maze? Haha. Certainly makes me not want to get poison ivy again. Or, well, I wouldn’t want to anyway I guess. 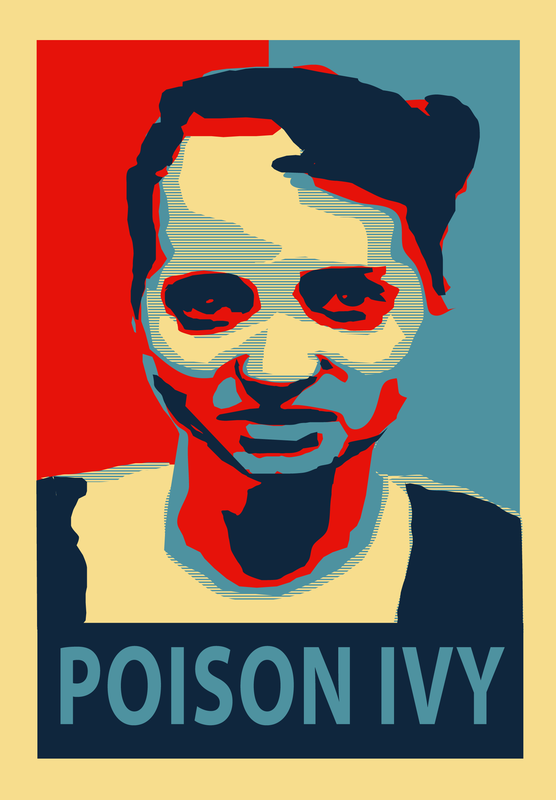 Hey…not everyone gets to be the poster child for poison ivy awareness. It’s quite an honor.